KIEV, December 26. /TASS/. Martial law enforced in Ukraine for a month failed to fulfill the intentions of President Pyotr Poroshenko to disrupt the upcoming presidential election and only exacerbated the situation in the country, Verkhovna Rada member and co-chair of the association “Opposition Platform – For Life” Yury Boyko said on Wednesday. “We need to acknowledge that it was an attempt by the president to disrupt presidential election and stay in his position for longer because there were no prerequisites for introducting martial law in the country,” the press service of the association quoted Boyko as saying. “Instead of finishing the conflict, they imposed martial law. All this military rhetoric, all those calls have once again created an atmosphere of chaos and no control in the country,” he added. 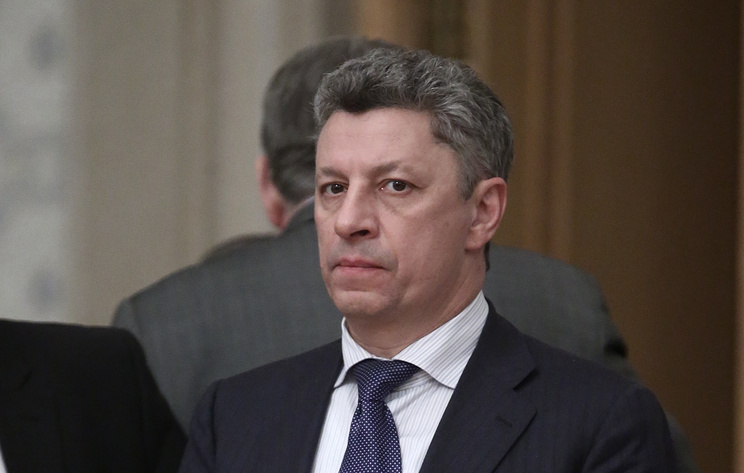 Boyko said that the only way for Ukraine to continue developing is to change the current government. “The government should change only through elections, no coups, because elections represent evolution. After the elections, there will be a new government in the country, which will bring peace, ensure its stable and normal development,” he added. Martial law was imposed in 10 Ukrainian regions on November 26 for 30 days. It was introduced over the Kerch Strait incident on November 25, when three warships of the Ukrainian Navy violated the rules of passage through Russia’s territorial waters while en route from the Black Sea to the Azov Sea. The Russian side had to use weapons to compel the ships to stop. Three Ukrainian servicemen were lightly wounded. They received medical assistance. The ships were detained and escorted to the port of Kerch. A criminal case was initiated on border violation charges. Hey Buddy!, I found this information for you: "Ukrainian MP says martial law only exacerbated situation in the country". Here is the website link: https://russophile.org/ukrainian-mp-says-martial-law-only-exacerbated-situation-in-the-country/. Thank you.